Just because you have joined the ranks of the walking dead does not mean that you cannot have a classy, once-living look. 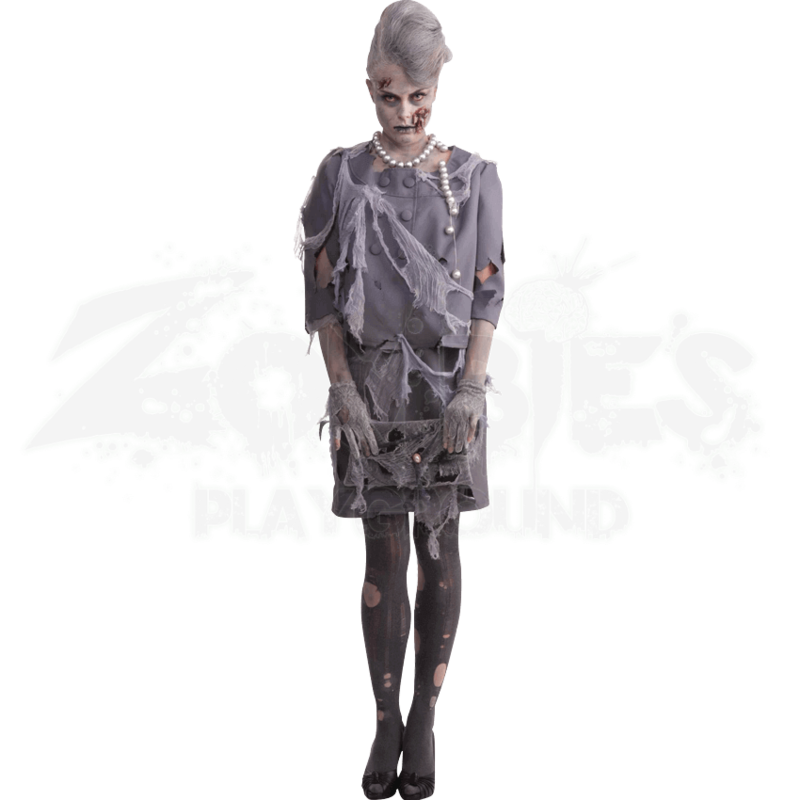 The Zombie Woman Costume combines a professional, business look with the ghoulish style of the walking dead. You might even say that it is the perfect attire to wear when inviting your colleagues to a business luncheon - especially if they are the ones on the menu! This costume consists of an elegant and formal looking faded gray jacket that is tattered and torn across the sleeves. The jacket also features attached tattered gauze and a matching attached skirt that is equally torn along the edges and hem. The costume is available in one standard size, which fits a 34 to 38 inch bust and a 26 to 32 inch waist. The costume only includes the jacket, with its attached skirt and gauze. The pearl necklace, handbag, gloves, stockings, shoes, and make-up are not included. 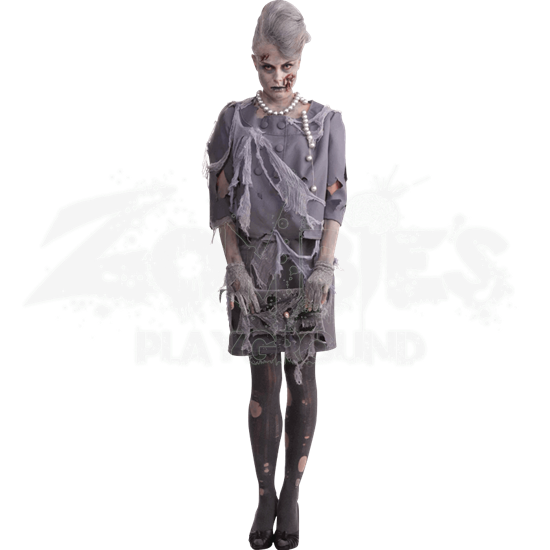 If you are looking to create a zombie costume that screams First Lady Zombie or at least a more formal, business-like zombie, then consider the Zombie Woman Costume. You will not be disappointed with how ghoulishly formal it makes you look.